The Emerging Artist Gallery this year is in association with Sage Theatre’s IGNITE! 2019 Emerging Artists Festival. IGNITE! is a festival dedicated to supporting, mentoring and presenting emerging artists of all disciplines. IGNITE! allows artists to embrace risks in a supportive environment while providing resources, a bridge to the professional arts community, and meaningful opportunities for collaboration and community building with their peers. IGNITE! 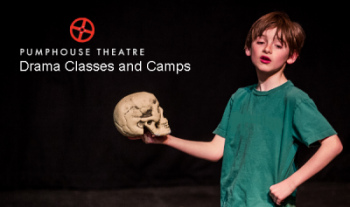 will take place June 12 – 15, 2019 at the Pumphouse Theatres. Artists will be given a choice to opt into allowing their work to be adjudicated to become the official art piece of IGNITE! 2019. 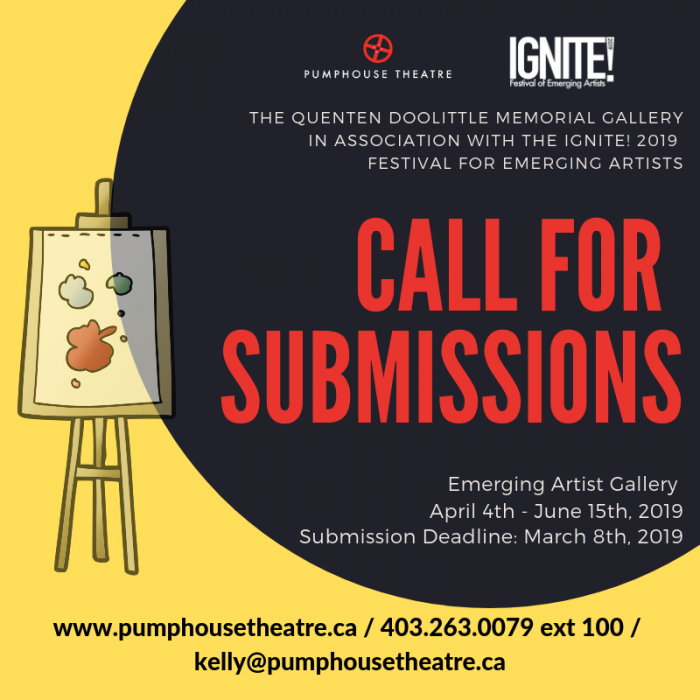 All submissions will be displayed from April 4 to June 15, 2019. If selected to be the official art piece of IGNITE! Festival, artists will receive an artist festival pass and an honorarium for the use of their image in marketing material. • Artist resides in Alberta and must be available for installation. • Artist must be an Emerging Artist, defined as being active 5 years or less in the industry. • Artwork: Photos, maximum of 5, do not send original works. Selection Process: Art pieces are selected by a committee of no less than 3 people and are a mix of artists and administrators. Selection criteria is based on suitability to the theme, artist’s technique, elicited emotional response, creativity & innovation, and suitability for the Pumphouse Theatre art gallery space and its patrons (all ages, representing various socio-economic and cultural backgrounds).